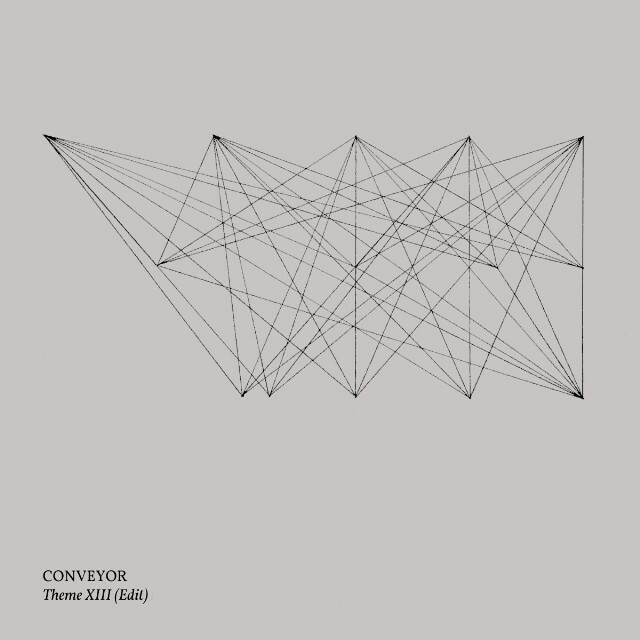 Conveyor’s upcoming double LP Prime compiles music originally composed to be performed during screenings of George Lucas’ 1971 directorial debut, the dystopian sci-fi flick THX 1138. The band did just that during a pair of midnight showings at Brooklyn’s Nitehawk Cinema last December, which featured costumes, lighting effects, the whole deal. Then they hit the Silent Barn in January to capture these sounds for posterity in a single day of live recording. Good thing they did; “Theme XIII (Edit)” is a frenzied krautrock surge that just keeps getting more and more extraordinarily vivid. As awesome as it would have been to witness this spectacle in person, the music is thrilling in its own right. Listen to it. Prime is out 7/15 on Gold Robot. Pre-order it here.